Paul Gauguin. 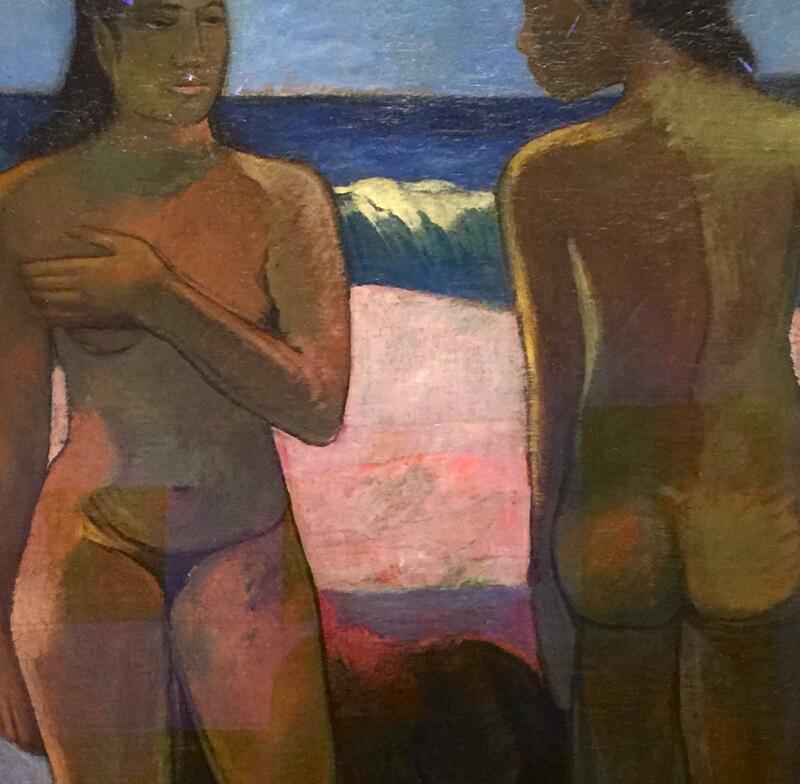 Two Nudes on a Tahitian Beach (detail). Oil on canvas. 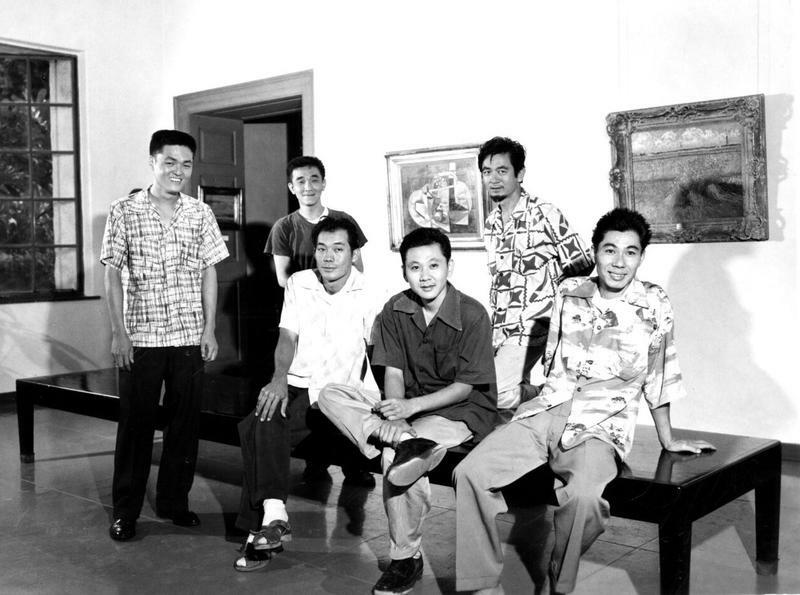 One of the Honolulu Museum of Art’s iconic treasures, circa 1891-95. HoMA Director Sean O’Harrow says digital image rights are a good source of added revenue for many museums, and pieces like this bring in royalties for their use. 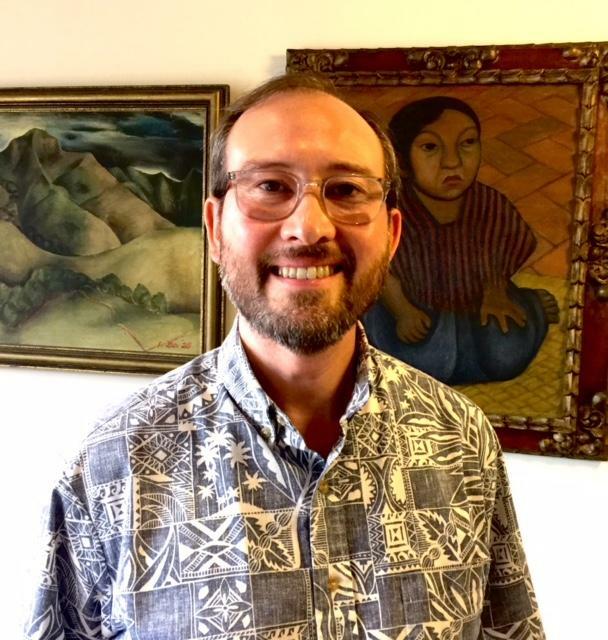 Sean O’Harrow, Director of the Honolulu Museum of Art, was born and raised in Hawaii. A UH Lab School grad with art history degrees from Harvard and Cambridge, O’Harrow established his career in England, then moved to the Midwest. 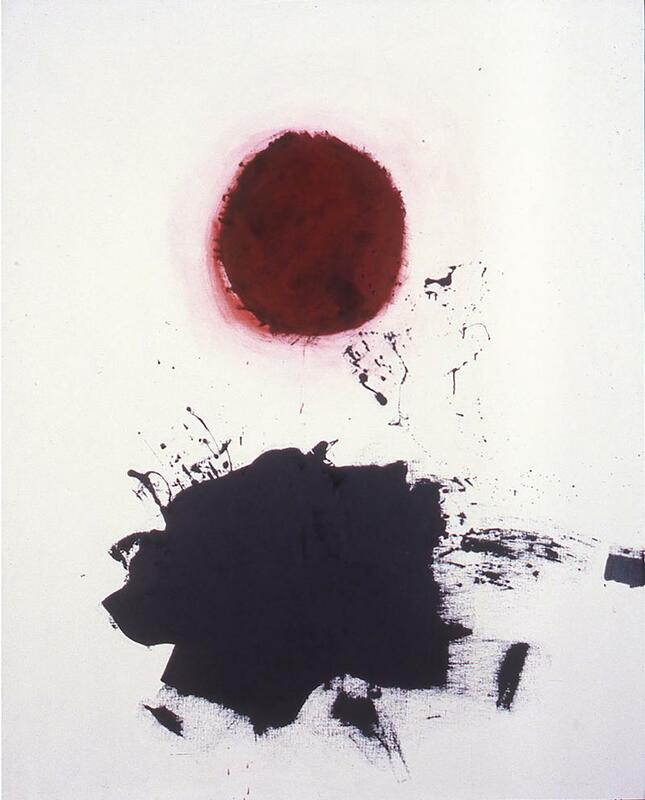 Gone atotal of 31 years, he was director of the University of Iowa Museum of Art prior to moving back to the islands. How the terrain looks at the Honolulu Museum of Art after Sean O'Harrow's first year. In this segment, O'Harrow describes the landscape of financial support in Hawaii and how a conscientious non-profit might negotiate its changing currents. Here, O'Harrow describes the Museum and school internally, along with some of the changes in store. Sean O’Harrow, Director of the Honolulu Museum of Art, says people who move to Hawai’i often have a rosy view of life here that’s leavened when you’ve grown up in the islands. Even if you've been away 31 years, as he has. Erick Swensen. Ne Plus Ultra. Urethane resin, Acrylic paint. Special exhibition through July 29. An additional entrance fee of $10 applies to the special exhibition. Museum members at the Supporting level ($100) and above get four (4) free days to see the show from March 1-4, 2018. You may bring guests according to your membership level benefit. O’Harrow, who grew up taking classes and wandering the Museum, says currently their 16 million dollar budget is met through grants, revenue, and an endowment, in about equal parts. O’Harrow: One of my dirty little secrets is I spent time in business. After my PhD. in Art History, I ended up working in London in finance, investments and hedge funds and things like that. So I learned a lot about the way businesses operate and how they serve their clients. O’Harrow notes when he was growing up in Hawai’i most of the wealth was owned by very few people. 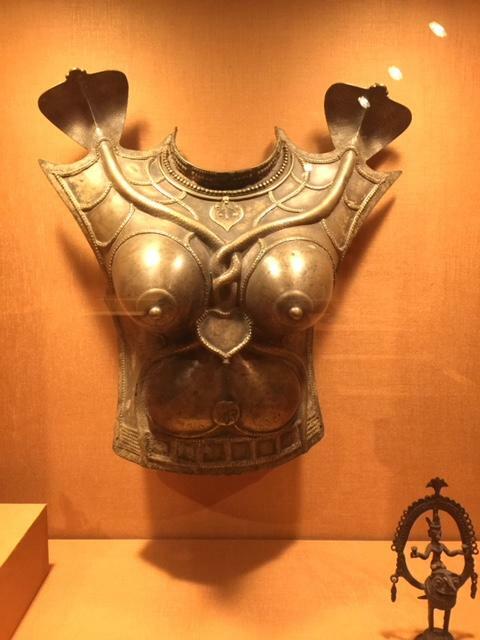 Varahi Mask and breastplate. India, Kerala, 18-19th centuries. Brass. O’Harrow: Each generation that passes, there were many more descendants and so the wealth is divided up. A lot of those entities and families were the big supporters of the cultural institutions in Hawaii and now you have to have many more donors. Where is the money here? O’Harrow: Well, the money has to be with the wealthy people for example who live here some of the time, all the time? The local population doesn’t have a lot of money because of the cost of people. It's not going to be an easy place to get money out of people. O’Harrow: What you want to do, is you want to determine the amount of wealth out there and project it out 20-30 years and then determine how many organizations that would support, and if that's the case you either coordinate it all or you wish everyone good luck and you see what happens. 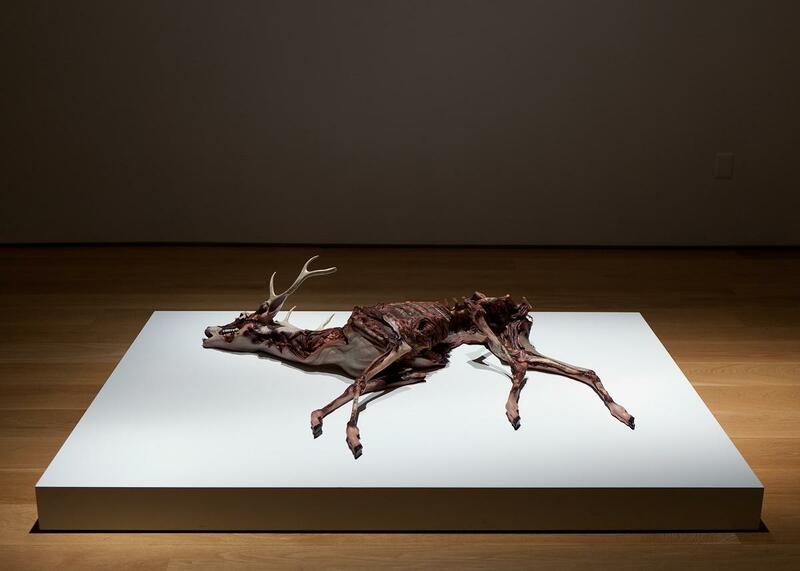 Meanwhile, museum goers want edgy contemporary shows, not history. HoMA is connecting membership to education more and has plans to relocate art classes to the main campus. Architect John Hara is already working up plans for a new Diamond Head wing. Generating travelling shows is a must for recognition, for example, O’Harrow points out a show of Kalakaua era art, artifacts and memorabilia coming this fall, could be of interest to the rest of the world. Vincent Van Gogh. 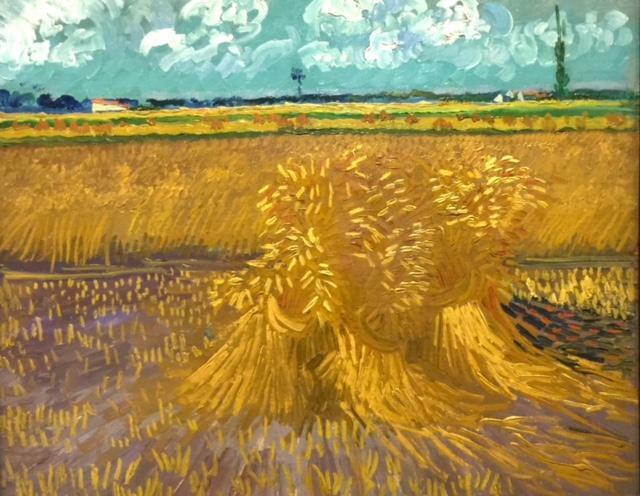 Wheat Field, 1888. Oil on canvas. I you need to be near a Van Gogh, there’s creditable one at the Honolulu Museum! Earned revenue is also ripe for expansion, says O’Harrow. The Museum is an attractive event space, and Art After Dark continues to draw throngs to theme parties on the last Friday of every month. In addition, O’Harrow sees image licensing as another lucrative area exploited profitably by other museums. Internally, O’Harrow has made changes. He says when he arrived, nearly twenty departments reported to him. Now, there are five departments, art and programs, operational and administrative, finance, human relations, ad communications. He has integrated duties so that marketing and education weigh in with curatorial and programming decisions. At the Museum School, a new policy allows Museum members to register earlier for coveted classes. In an effort to tie Museum membership and support to education more closely, instructors are encouraged to tour Museum shows with their classes. Long-time HoMA School director Vince Hazen has moved to a job with Kamehameha Schools. 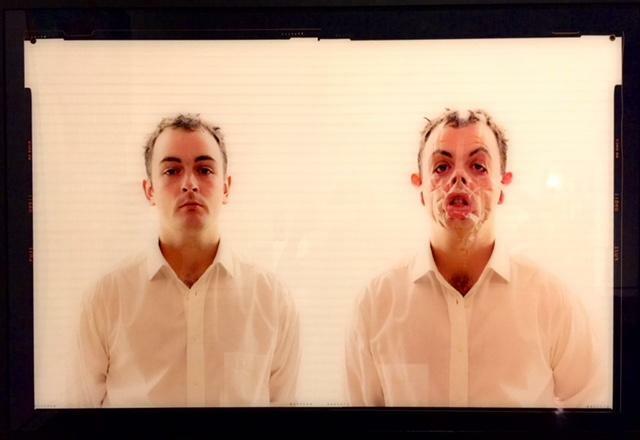 Douglas Gordon. Monster, 1996. Transmounted color photograph. 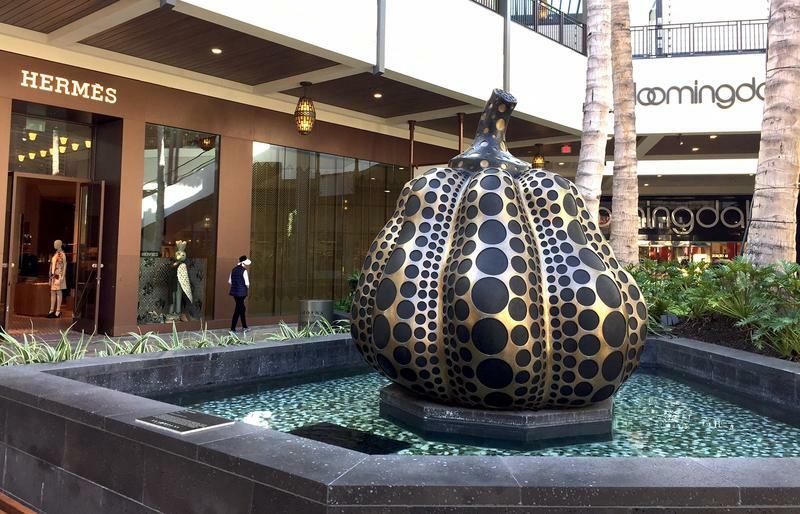 The newly refurbished Thomas Square should be opening to the public any day, and plans for the highly anticipated Cultural Corridor from HoMA through McKinley High School and the Blaisdell complex are inching forward. O’Harrow says support from Senator Brian Taniguchi and Representative Della Au Bellatti helped secure 2.2 million dollars for HoMA to expand educational facilities, and may translate to more exhibition space as well. O’Harrow says state partnerships will undergird the Museum’s efforts to raise Hawaii’s profile internationally. O’Harrow: Coming up with a sustainable financial model is one of those important missions I have. We’re such a key part of our society. I have to take the long view moving forward because I think if we do that and we work with our partners in moving forward, then our community moves forward and our state moves forward. Here, a section of the wall in Sean O’Harrow’s office. 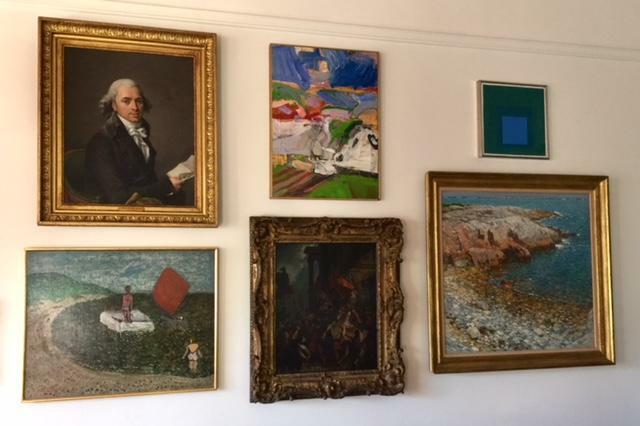 (Circle starting with upper left) Labille Guiard (Adelaide), Richard Diebenkorn, Edward Albers, Frederick Childe Hassam, Eugene Delacroix, and Milton Avery. It’s hard not to notice Abstract magazine when it appears, free, in your favorite café, bar or gallery---the quarterly magazine is so unique in look and feel. If you haven’t seen it, it’s because people took them, which is what they’re supposed to do. In our ongoing series on alternative media in Hawai’i, today, HPR’s Noe Tanigawa offers a look at Abstract magazine. Abstract and Kumu Kahua will team up with Bamboo Ridge for a community writing project in the Bamboo Ridge tent at the Hawai’i Book and Music Festival this weekend.